What are Orbs? Many people are asking that question. Many have attempted to explain. This section contains my explanation. 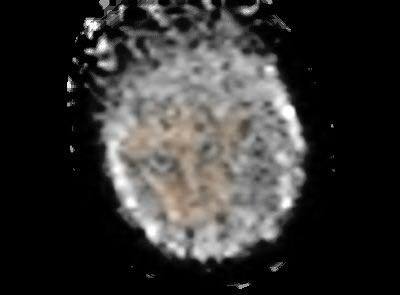 When I first saw the articles, internet postings, and pictures of Orbs I was unimpressed. I dismissed them as light refraction's, moisture particles, dust in the air or on the lens of the cameras and such. The people seeing them were variously describing them as angles, ghosts, fallen angles, UFO’s, demonic entities, flying insects and as many other silly things. To say I was skeptical was an understatement. 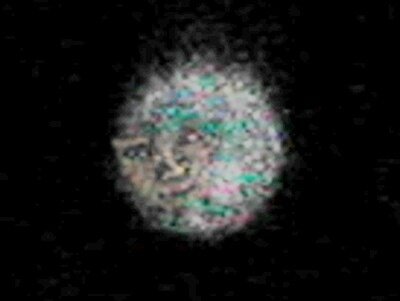 Over the years I had taken thousands of photographs, mostly with conventional cameras, but also with several digital cameras and had seen nothing that could accurately be described as an Orb. All that abruptly changed. My passion is hunting on my own land, mostly deer and hog hunting. I love the peace and quiet of the woods and the time it gives me for solitary thought and observation. I consider myself to be somewhat a steward of the land and protector of the woods and animals that live there. I will avoid killing anything unless there is a very good purpose for it. Only rarely do I kill a big buck or old fallow doe. I will avoid killing rattle snakes and cottonmouths, all of whom serve a purpose in nature. I will avoid killing a turtle, alligator or other animal crossing the road, even if it presents a risk to me personally. Although we have tens of thousands of acres, we do not use pesticides or herbicides. This morning I was picking up worms that had been driven out of the ground by a heavy rain on to our cement patio and placing them into my wife's flower pots. For decades I have used trail cameras to take pictures of animals on our property. Never did I ever see an Orb. However, a few years ago I bought a new high powered digital trail camera with a powerful infrared flash. I took hundreds of pictures of bears, hogs, deer, raccoons, bobcats, coyotes, bucks, does, fawns, possums, squirrels and the like. Again, I saw nothing that looked like an Orb for a very long time. Then I started capturing pictures of a deer family unit that lives in the area made up mostly of old and young does, young bucks and fawns. Each picture I took of them had things in it that appeared to be Orbs. Again I suspected that the number of deer in the photos caused a larger amount of dust to be stirred up and that was appearing in the digital photographs as Orbs. Mystery solved, or so I thought. However, I noticed that pictures of this same family unit taken in the rain still showed the Orbs which were easily distinguishable from the rain. It could not be dust because the ground and deer were wet and could not stir up much, if any, dust. It could not be moisture particles in the air because I could see the rain very distinguishable from the Orbs. It could not be flying insects because most don’t normally fly in the open in heavy rain and I was only seeing them in connection with this one family unit of deer. Since then I have noticed Orbs traveling with other animals, particularly female bears. Over the last several years we have taken several old fallow does out of that small herd. It then hit me. What I was seeing was the consciousness of the taken deer interlaced into a small individual energy packages that were still traveling with this family unit of deer. How could that be? It seemed, at first thought, to be absurd. When I developed my theory of the AWARENESS OF NOTHING I just followed the logic and evidence where it took me. I knew that consciousness could attach to individual packages of matter and energy to form “life” (i.e. "us") and that consciousness created and is the building block of the Universe therefore it is everywhere and in everything. It is the stuff that created everything and holds everything together . I theorized that consciousness had to survive material “life” and would therefore exist forever and that the individual experiences of bundles of consciousness in “life” was what changed the nature of reality in the physical Universe and it's future . Prayer works! Perhaps our prayer or meditation attract Orbs that assist our consciousness in modifying the material universe. It does not work because some old man with a beard is sitting somewhere on a throne on a cloud listening to all prayers of all people and tries to answer them. It works because , like in meditation, when we focus our individual or cooperative consciousness upon one thing we can use our consciousness to alter our reality in the physical world. Don’t believe it? Just throw a rock in a pond and observe the ripples. If life can combine itself with matter and energy to create what we call “life” in a material body and consciousness is everywhere, then consciousness must also be able to combine itself with either matter or energy. Therein is found the explanation of Orbs. "Everything in the Universe, throughout all its kingdoms, is conscious: i.e., endowed with a consciousness of its own kind and on its own plane of perception. We... men must remember that because we do not perceive any signs — which we can recognize — of consciousness, say, in stones, we have no right to say that no consciousness exists there. There is no such thing as either “dead” or “blind” matter, as there is no “Blind” or “Unconscious” Law. These find no place among the conceptions of Occult philosophy." We humans can only see light in our own visible range which is found between ultra-violet and infrared. However, that is less than only 0.1% of the full light spectrum( which is more technically called the "electro-magnetic spectrum"). It also means that there is more than 99.9% of the light spectrum that is invisible to humans, or most of us. Orbs appear on images taken by digital cameras because the digital camera can record light in the infrared range in which they exist beyond our ability to see them with the naked eye. From the way the NASA spokesman acts in the video I get the impression that he knows, but does not want to say. A multidimensional reality theory is something I have never had much faith in. Personally, to me, it is more logical that there are things which exist which are simply beyond our limited range in the perception of visible reality. We know that to be true. If a person is in a large room speaking to a crowd of people and would ask the crowd what they see in the empty spaces of the room most would say “nothing”. However, we know that there are numerous dramas, symphonies and energy existing in the room with them. All one needs is the proper received to perceive them. Turn on a TV or radio; a microwave detector; a Geiger counter, etc. and a whole other reality is revealed to the observers in the crowd coming from what they had previously described as “nothing” or empty space. An alternative theory is that Orbs reside in a parallel dimension to our own and using the method of observing them described here allows us to peek for a moment into their dimension. Another unanswered question is whether Orbs reside in a parallel dimension or in a parallel Universe or whether they are invisible entities residing in our own dimension or Universe. What is clear is that while we cannot ordinarily see them, they can see us. Where and how do ants know to build mounds, bees to build hives and collect honey, birds to fly south for the winter, fish to form schools, bears to hibernate, turtles to bury their eggs in the mud? It is called “instinct” but were does instinct come from? Perhaps it is in the cells of the animal or its DNA? Perhaps. It seems to me to be more reasonable and logical that “instinct” is a subconscious memory that comes from the experience of past lives of the animal that are retained by the consciousness of the animal when it “dies” and is drawn upon when it renews its “life” (reincarnates) in the material world as a new animal in a new life. Of course, that would mean that when animals, including humans, are reborn they retain subconscious memories of past lives that become obscured by the conscious memories of experiences of the present life. What we see as Orbs are nothing more than the memories of the past experiences of individual consciousness of formerly “living” animals existing in a bundle of energy momentarily within the infrared light spectrum. Like matter and energy the Orbs exist in all forms, from the most simple to the most complex and like people and animals from the best to the most evil. These individual consciousness exist in light energy within the infrared spectrum and sometimes follow their former family and friends until they can be reborn into a new body consisting of matter and energy. Orbs are the sperm of life's awareness/consciousness in a embryo. That is what I saw in the deer trail camera pictures and is what many others see in family digital cameras images. It can be a truly a comforting thought. In order to appear visible to most living beings the pure consciousness of Orbs must bind with energy just outside of the visible light range of living animals , but the more complex Orbs have the ability to move further away in the light spectrum and can also shed the energy that their consciousness must gather in order to move into what we living beings call our reality. That is why these more complex Orbs can sometimes be seen appearing and disappearing.They are not moving into another dimension , they are only moving out of the light spectrum with which we can visualize them with our eyes and present technology. If an Orb absorbs a tremendous amount of energy it can sometimes be temporairly observed in our visible range of the spectrum. When they shed that energy or transform it into a more remote range of the light spectrum they appear to us to be moving between different dimensions, but are not. They are simply moving beyond our ability to observe them and may also lose their ability to observe us. What they do and what happens to these advanced Orbs when they become invisible to us or shed their consciousness from all energy is beyond my present ability to explain. For that explanation one must turn more to religion and philosophy than to science. 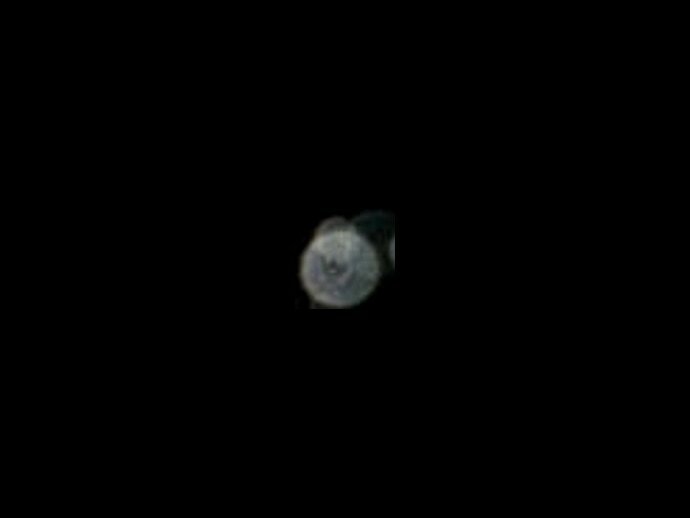 Recently, I have been observing Orbs in their natural or living state as opposed to just photographs of Orbs. Unquestionably, Orbs are conscious entities. 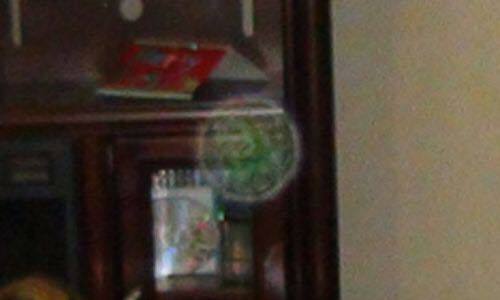 Anyone can see Orbs in their natural state anytime anywhere. All that is needed is the proper equipment. What has worked for me is a night-vision device and a high powered infrared spotlight. The night-vision devise that I use is a generation 3 night-vision monocular and the spotlight is a 2,000,000 candlepower hand held infrared spotlight. Anytime after dark anywhere, anyone can observe the Orbs also using these devices. 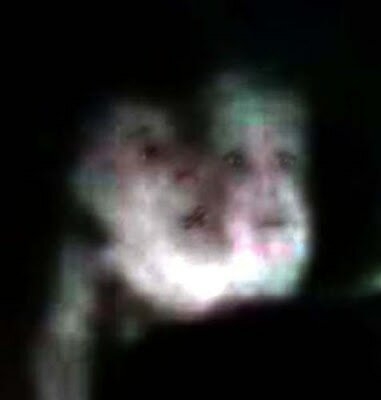 Orbs have been filmed with human faces , multiple faces, crowds of people and buildings in them. I have noticed that some Orbs will run from the light, others will stop and look, as if to wonder what it is, while others appear to be curious or attracted to the light and come close to investigate. Sometimes the Orbs are perfectly rounded while at other times take on a different or pie shaped form. The following video is one that I made and posted on YouTube and demonstrates this technique. Please notice how the insects(bugs) can be clearly seen and separately identified in the video. Also , please notice how the Orbs easily pass through the Wood in the deck of the dock and into the water at the end. ( please excuse my very careless and sloppy manner of speaking in the video ). The video immediately above (on the Santilli telescope) borders on the absurd. These men see Orbs and interpret them as Alien beings made of Anti- Matter. 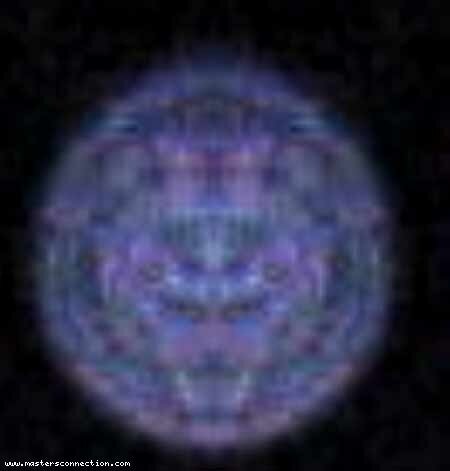 They are just Orbs and the digital cameras, not the convex lens of the telescope, are detecting the Orbs. The pictures are a time lapse of the path taken by a single Orb over 10 seconds or so, with the digital cameras taking a picture approximately every quarter second . This is truly "junk" science. The only question for me which is left unanswered is whether the Orbs are themselves a bundle of consciousness or are they a bundle of energy which consciousness uses to observe the reality around all of us in the reality of the material Universe. Another theory on Orbs is that they are from another dimension. The ones we see from that dimension have been sent back to reincarnate. They appear in this ball state because our equipment has not yet technologically progressed to the point where we can see them in their true state, but our equipment will continue to improve and eventually we may be able to see them in their true state. The reincarnation story of James Leininger is one of the best documented and the most convincing story of reincarnation ever told. James Leininger was born on April 10, 1998 to Bruce and Andrea while they were living in the San Francisco Bay area. When Bruce was offered a job has a human resource director for an oil industry company, the family soon moved to Lafayette, Louisiana, where James would grow up. When Andrea asked who the little man in the plane was, James replied: “Me”. In addition, James knew that US fliers gave Japanese bombers girl names and Japanese fighters boy names. For example, James said that Japanese fighters were called Zekes and bombers were called Bettys. When the family was watching a History Channel program on World War II in which Corsairs were shooting down Japanese planes, the narrator said that the downed Japanese planes were Zeros. Little James corrected that narrator in saying that the Japanese planes were not Zeros, but Tonys . Bruce and Andrea didn’t know what a Tony was. James explained that the Tony was a fighter that was smaller than a Zero. Bruce learned that James was correct regarding the Tony. In the coming months, Bruce would also find out that James, in a past lifetime, had himself shot down a Tony. The point of telling this story is to relate how young James chose his parents and seems to prove that he was what we call an "ORB" at the time. The little boy, James, told his parents that he had seen them while they were vacationing at the Royal Hawaiian Hotel in Honolulu. Little James called it the “big pink hotel” in Hawaii . In fact his parents were at the Royal Hawaiian Hotel (a big pink hotel) 5 weeks before Andrea become pregnant with James. Hid parents never told James about their Hawaiian vacation. 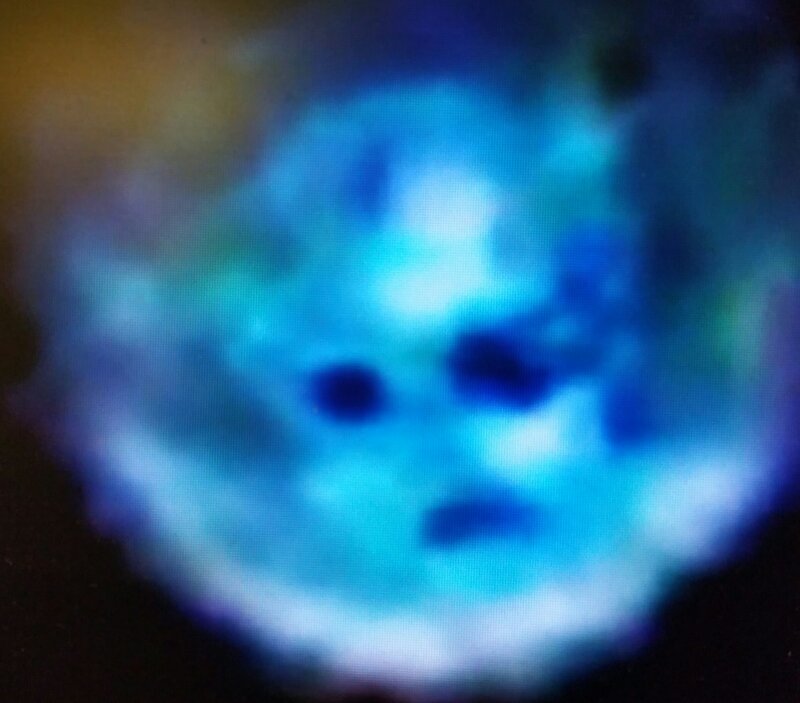 Which would suggest that the soul (ORB) of James Leininger was indeed able to observe and choose his future parents from the dimension of Orbs. Hopefully, this has made you think. Again, this theory may not be entirely correct, but is much more correct than many past and present theories. Please improve on it if you can, for that is the reason it was written. We will all only know for certain when this life ends. Until then think for yourself.